Photo Credit: Detail from Nancy Youdelman making up Shawnee Wollenman for the Death Piece scene in an untitled film, 1970-71. Courtesy of Nancy Youdelman. 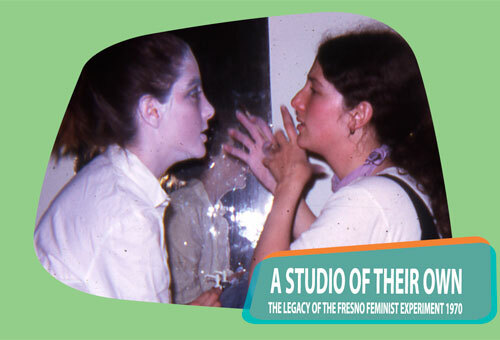 The exhibition and symposium A Studio of Their Own was organized and assembled by Dr. Laura Meyer. Dr. Meyer is an Associate Professor of Art History at California State University, Fresno. Please contact her for more information about the symposium and exhibition.